Branding is more than just a logo... It's your Identity. What is branding & why does it matter? Branding is more than just a logo - it's your promise to your customers & the "Big Picture" of your company. Consumers are buying more than just a product, they want to buy a lifestyle; an ideal; a dream. They want to buy "you". Who you present your company as should directly reflect your target customers. Want to see this idea in action? Look at Lululemon - you might think they just sell yoga pants, but to their loyal customers they are selling the idea that they, too, can be a yogi who takes months off to retreat in the Himalayas & find their inner peace & these yoga pants will help them do it. Be more than a just product or a brand. Be something your customers are inspired by & aspire to. To start our work together, I will ask you to fill out a brief questionnaire so that I can get an initial idea of what your brand is/does, where you see your brand in the future & your aesthetic preferences. Next, I study your brand & your competitors to get a better sense whats been done & how we can make your brand stand out from the rest. Contact us for a free, no-strings-attached consultation! There are a lot of web developers out there... Why choose Thesis? With other developers, you have to explain every little detail & lets be honest, most of them just know how to code, but know very little when it comes to design or pleasing aesthetics. With my design background, you're getting professional design advice & direction. If we don't think it looks good or is cohesive with your brands message, it doesn't go on your site. We also work hard to create an easy flow through your site. Wether you have a lot of information you want to convey or you have a lot of products to display, we will organize your menus & pages in such a way that does not confuse or overwhelm your customers. Reducing the amount of time your customer spends searching for the information or products they need will increase your sales & return customers. With Thesis, you don't have to worry about a thing. Great! But I am busy growing my business, I don't have time to create written content for the site... HELP! We do more than just copy/paste your written content & shuffle around your images - We can help you create it. One of the major hold-ups with most business owners when it comes to building their site is the daunting task of writing every single word for their web developers. We are able to cut out that step for those who are interested! We get to know you & your business in a way that helps us help you reduce the time you spend typing content for a site we are creating. In addition, we will help format the look of all photo & visual content that may already exist or help you create it. With our preferred photographer, we can capture beautiful, professional images of your store or products. If we are not local to you, we can get in touch with a local photographer & art direct your shoot remotely. Squarespace also offers access to Getty Images, an image licensing library where, for a small fee, we can add any already existing, professional image. Ok, sounds good... But why Squarespace instead of Wix or Wordpress? We have experience with several other platforms, but simply put, Squarespace is the best. It's intuitive dashboard & content editing system makes it easy for our clients to edit their content on their own after their site is done being built, relieving them of the need to continue to pay a third party for site updates if they don't want to. On the other hand, if they don't have time to edit themselves, it makes it easy for us to go in there & edit without having to share passwords or change user settings. As a Thesis client, you are never tied to using us to update or change your site in the future if you don't want to. We give you the tools you need to do it yourself & Squarespace is the most user friendly platform with 24 hour customer support. Another reason we love Squarespace is that it has built-in responsive design - meaning, your site looks beautiful no matter what device it is being viewed on. These days, web traffic is not only coming from desktop servers, but more & more from mobile devices & tablets. For a lot of customers, if you don't have an easy to navigate mobile site, you won't earn their business. With Squarespace, you don't have to worry about that. It's already included. Squarespace also has whats known as "Developer Mode". If we feel your site needs something extra that isn't already integrated into your template, we can add it on the back end using CSS (coding). This keeps your site from looking like a "cookie cutter" template like the other guys & gives us more freedom when it comes to site features & functions. So, now you have a beautiful Brand Identity system... How can you use it? Let us apply it to every aspect of your business via your business cards, letterhead, envelopes, flyers/mailers, etc. With our print materials services, we can help you put your best foot forward always, wether you're networking, sending official correspondence, advertising or invoicing your customers. Make sure your company always looks professional with beautiful, cohesive design across all materials. We can help! We work with a fantastic local printer & can arrange any printing that is required, if desired. Just ask! Package Pricing starts at $750 - Package Bundle Discounts Available! You've got a beautiful brand & an awesome website, but whats next? Now it's time to meet your customers! Get out there & show your brand off! But how? Let's start with Social Media. Two-thirds of Americans are on Social Media - How are you reaching them? We can help set up your brand across all platforms, build promoted posts & link them back to your website for easy customer access. What about all those email addresses you are collecting at point of sale on your site or through your newsletter sign ups? We can set you up with Mailchimp, an email marketing service, where you can store all of those customer emails & build email campaigns to regain their attention. See who opens or clicks through to your site & gain valuable insight on how to engage your customers. We can also help design your campaigns! Package Pricing Starts at $350 - Package Bundle Discounts Available! Want to reach your customers in a new way? Let's take your new brand identity system & put it to use on your advertising! We will help you design & develop a marketing campaign, whether print or digital. Pricing starts at $175 - Package Bundle Discounts Available! Is your logo outdated, irrelevant or just not resonating with your target customers? Did you use a DIY cookie cutter website template just to get up & running years ago, but want something better? If your brand identity & website weren't designed in this decade, or even if they were but you're not 100% happy, we can re-brand & re-design, all while paying homage to what helped you get where you are today! 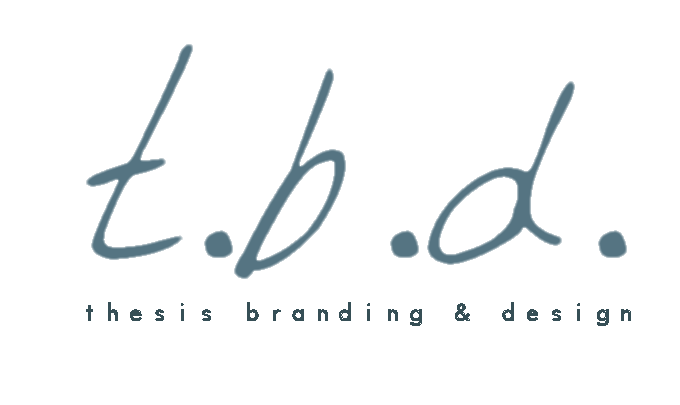 We will go over whatever elements you would like to transfer to your new brand identity & site. If you want to change your domain name but all of your advertising & print materials have your old domain, we can redirect it to your new domain & site so you won't lose any customers or clients during this transition. Impress Your Existing Customers While Reaching New Ones! If you don't have time to update your website, we do! Let me know what you need ones & I will quote a flat fee for the project. Wether it's adding information, new pages or products - we can get it done for you - FAST!